The aurora borealis is the kind of thing you go on holiday to see, packing your bags with winter warmers as you head north to see one of the natural world's most enthralling visual spectacles. In Battlefield V the green glow of this most stunning phenomenon defines the Narvik skyline, hugging the grandiose view with its warm and welcoming waves of colour. However, this picturesque vista is tarnished somewhat by the piercing flashes of anti-aircraft fire, and any thoughts of natural beauty are soon dispelled as you're told to throw yourself from the plane you're leaning out of before it's too late. It's time to fight. Narvik was one of two maps which were released this last week for the open beta for Battlefield V, and we split our time between the PC and Xbox One versions of the game. Rather unexpectedly, if we're totally honest; we downloaded the client and booted it up for a quick look, and ended up spending the best part of the weekend charging into battle in two very different large-scale arenas. Having spent several hours dying and dying again in DICE's return to WW2, we've come to the conclusion that the change we were particularly worried about (the magic hammer that lets you construct defences on the fly) isn't half as intrusive as we first thought it might be. One of the big changes to the formula is the way we help out our teammates. Medics can revive anyone, but now all players can revive fallen squad members if the opportunity arises, and if you revive someone in your team you'll also get a nice score boost. However, what felt like the majority of players we were grouped with seemed far happier ignoring our desperate pleas for help and revival so they could instead push forward a few meters. Things get much better when you take a buddy or two into battle with you, and once again DICE's approach to squad gameplay works a charm, but playing solo can be a frustrating experience. Perhaps that frustration is also because of the bleakness of the revive mechanic. After taking enough damage your character will hit the deck, at which point you're offered the chance to either beg a nearby ally for help or give up and die if you're too far away from friends. It creates an interesting decision for players to consider, where you're basically helpless and making one last feeble throw of the dice. To make matters worse, the revised revive mechanic can draw squads into some very dangerous positions, and we winced through several scenarios where our death or the nearby fatality of a comrade drew help that was rewarded with a bullet in the back. The maps themselves, both the urban sprawl of Rotterdam and the ice-coated Arctic Fjord, offer huge and detailed environments for players to battle through. 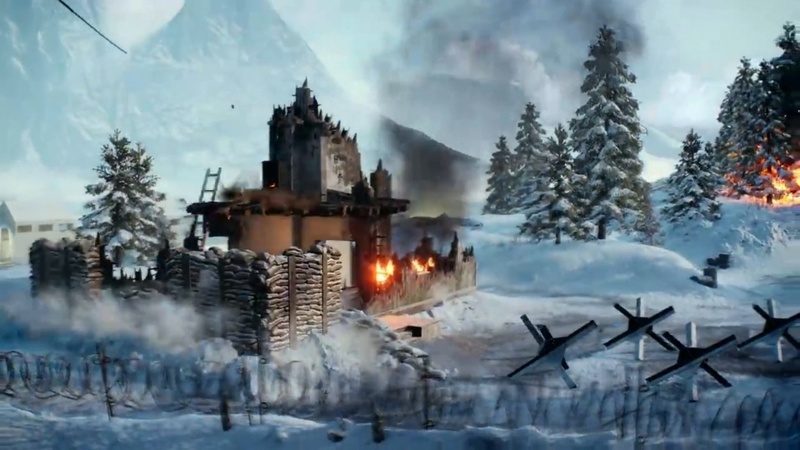 Narvik was particularly interesting in the sense that it offered two (of four) days from the new Grand Operations mode, with each day forming an entire map. The first attack saw us jumping out of a plane at night and fighting for a foothold on the edge of the fjord, while the second day had us pushing further into the map, the battle raging across a village and a train station. Of course we got to sit behind the turret of an armoured vehicle or the gun in a plane providing aerial support, but for the most part, we were boots on the ground, charging into battle and trying to dislodge the opposition from strategic points on the map. The contrast between the white wilderness of the Norwegian battlefield and the streets of Rotterdam couldn't have been more pronounced. Instead of wading through sheets of snow, this more urban environment had us waging war on streets and through buildings, diving into canals and sniping from the elevated train tracks that run through the centre of the map. The destructive element that has come to characterise the series was certainly more prominent in Narvik, with buildings disintegrating all around you, but we also liked the twists and turns, the nooks and crannies, offered by the more structurally sound Rotterdam. Both maps offered visceral and punchy action, and whether we were hugging cover and pushing through paved streets, or parachuting into the harm's way against the backdrop of the aurora borealis, we were mightily impressed by the fidelity of the experience cooked up by DICE. 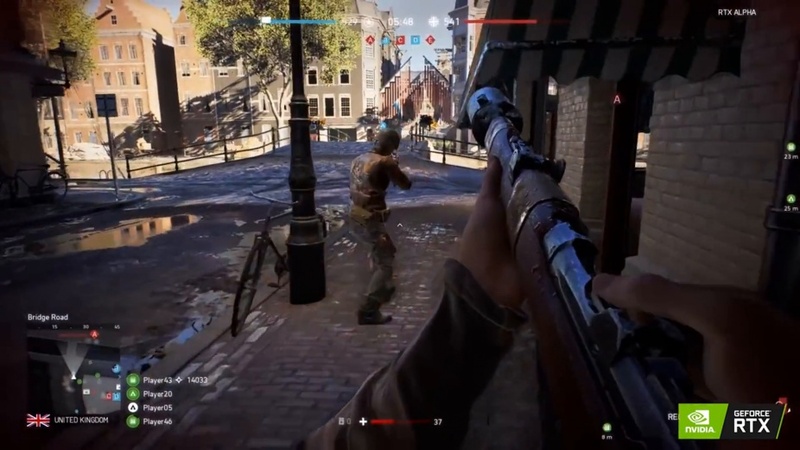 Battlefield V is certainly more tactile than its predecessor, and another consideration to bear in mind this time around is making sure you're equipped with enough ammo and health packs. Similarly, you can charge through a door using physical force to gain entry to a building, an action that really places you in the moment, and in general player movement felt more fluid and responsive. If your defences are damaged you can even patch things up using your trusty magic hammer, throwing down sandbags and the like, although you are limited to defending specific points on the map. Coordinated teams will no doubt use these new tools to great effect, but during the beta, a lot of people were charging around and so it was hard to judge exactly how effective and to what extent it'll be used in the final game. Still, our worry was the in-game construction would be too gimmicky, and that doesn't seem to be the case, at least based on our experience. Time will tell if we come to regret those words, but right now we found our focus was largely on finding good positions and aiming with accuracy, just as it always has been. 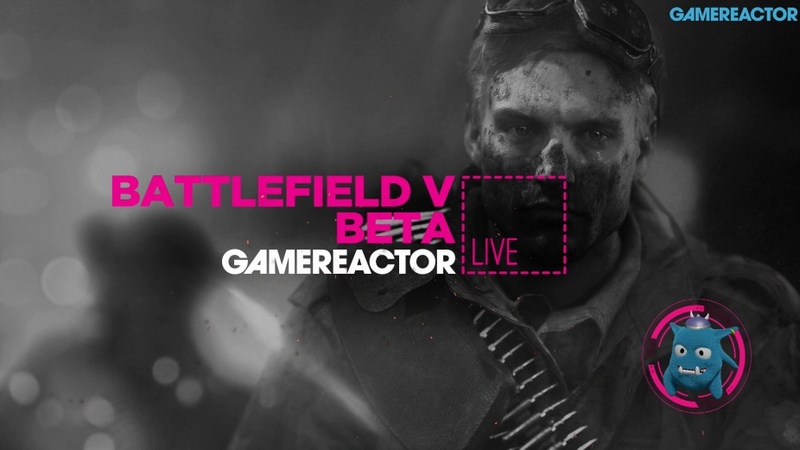 And so, after spending more hours with Battlefield V than intended, we've come away looking forward to seeing the full game. We still have lingering concerns about the new, more casual building mechanics, and the enigmatic Firestorm mode (DICE's take on the battle royale phenomenon) doesn't fill us with much confidence, but the stuff that Battlefield has always done well - large-scale battles and blistering combat - looks to be present and accounted for in the next entry in the series. Roll on November 20. Update: This article has been updated with clarifications about the squad revive mechanic. Frimann_K Edited on the 11th of September 2018 at 18:48. Also, regarding the revive mechanic: It's my impression that any player could revive squad mates, but only medics could revive all team mates. Is this right? Mike Holmes on the 11th of September 2018 at 22:17. Hey Frimann_K, thanks for spotting that mistake. I've fixed the Narviks and I've clarified the squad revival situation as that section wasn't clear enough. Thanks.